Music lovers lets rock, with this amazing yet professional pocket DJ mixer. You could also rent some DPL lighting to create a good atmosphere when showing off your new DJ skills at an event. 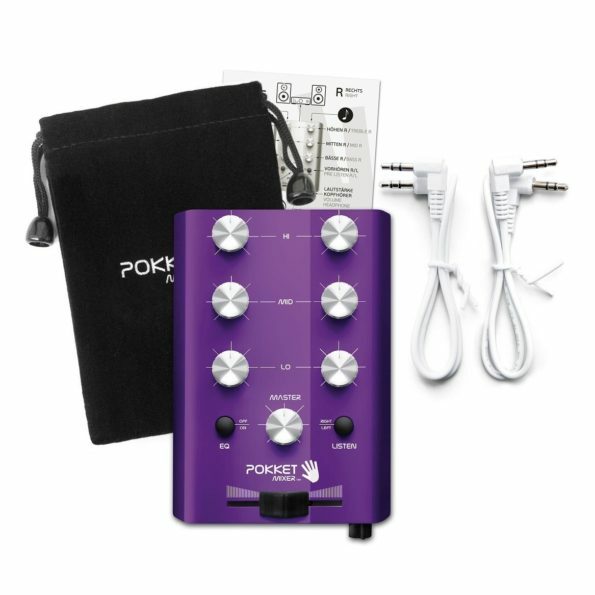 So lay down a professional sounding beat anywhere you go with this mini pocket sound mixer the DJ mixer. It goes with any event and can be played with just connecting your iPod. All you need to do is connect the iPod or MP3 player or phone and turn it in to the party machine with this DJ sound mixer. Simply connect it with headphone jack of mp3 player, laptop, or phone and instantly boom the beats.